Why choose a FAST 500? FAST 500 Torino is a mobile plant ideal for the Construction Companies and/or Packaging Companies which ask for a high performance level of the plant, but above all concrete high quality level. The batching plant is constituted by only one unit, pre-assembled and pre-cabled, transportable on container OPEN TOP 40” or on lowering bed trailer. 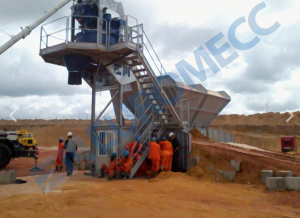 The aggregate storage group, with total output of 40 cu.m, is divided in 4 compartments with double loading size. FAST 500 Torino has a planetary mixer with 0, 5 cu.m. 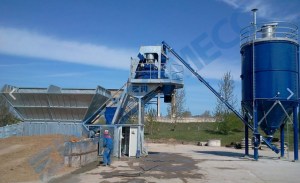 concrete output per cycle, with a maximum hourly production equal to 30 cu.m.